We're happy to answer any questions you may have and get you scheduled for a free consultation. The consultation is our chance to get to know each other. And while we typically like to meet our wedding clients in person, our consultation for elopements can generally be done by phone or video chat. We start out asking a little about you and telling you a little about us. We will walk you through the legal aspects of getting married so you know what steps we will be taking together. And then we will explore what you want for your elopement to make your elopement perfectly yours. 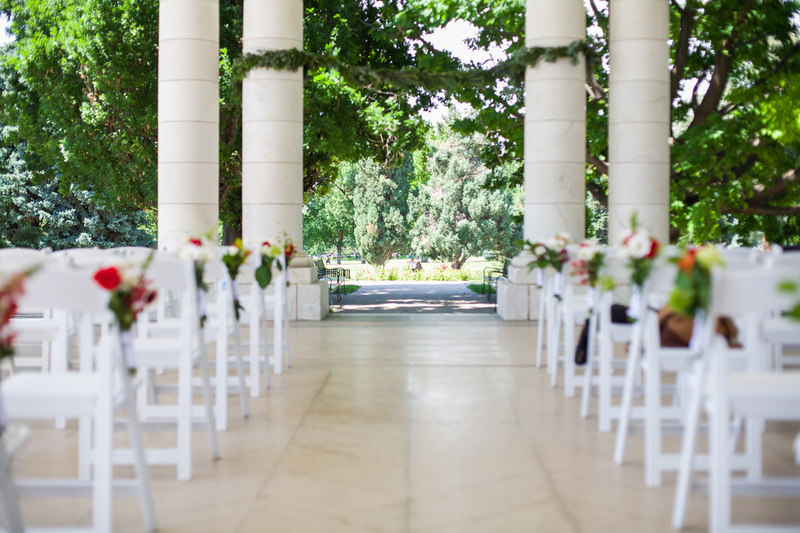 Lastly we will discuss pricing options and find the best fit for your elopement and your budget. 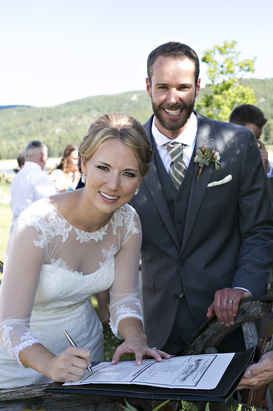 If you already have a location for your elopement booked, that's great! But if you don't we are more than willing to help you out. 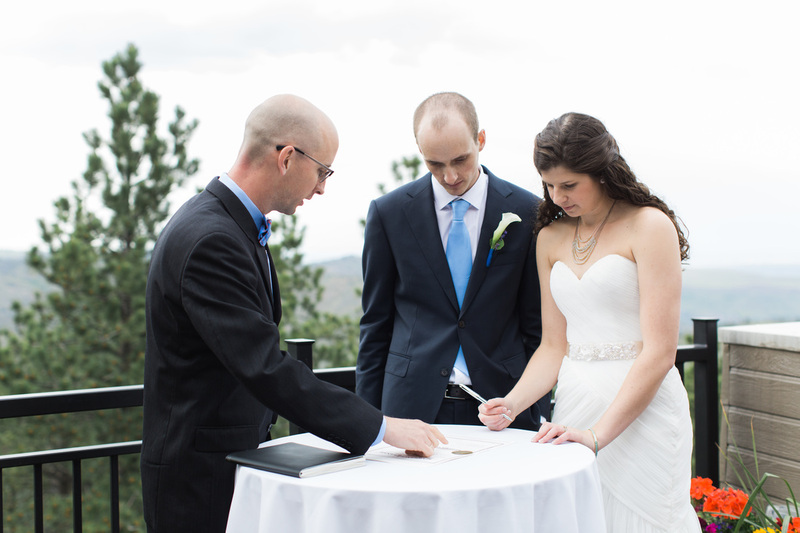 There are several elopement locations throughout the Denver metro area we can recommend. And if you have aspirations for a scenic mountain elopement, we have several gorgeous locations to suggest, including some real hidden gems. But be aware that most locations will require some sort of permit or fee and to get it may take a day or a week to get approved. Getting the Marriage License is the one thing we really can't do for you, but we will help you in every way possible. In the consultation we will go over all of the things you need to know in order to get the license. 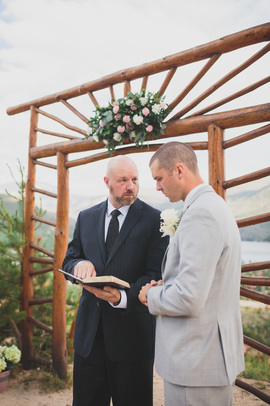 Then if you need a refresher or think you might need more information, we have a page dedicated to information about the Colorado Marriage License. As we near your ceremony we will send you an email reminder to go out and get your license when it's time. And we even have a handy, searchable map of all of the County Clerk & Recorder's offices in Colorado to help you find the closest office to get a license. 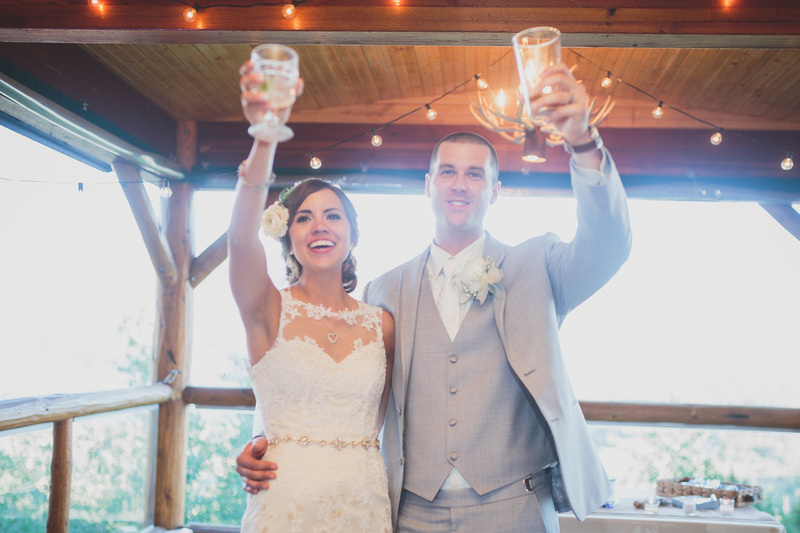 Once you've walked back down the aisle together as newlyweds, the cheers have subsided and your guests are now looking for refreshments, we will take a quick minute to sign the Marriage License. We will have all of the information you need to properly fill it out and will happily guide you through the act of signing it. 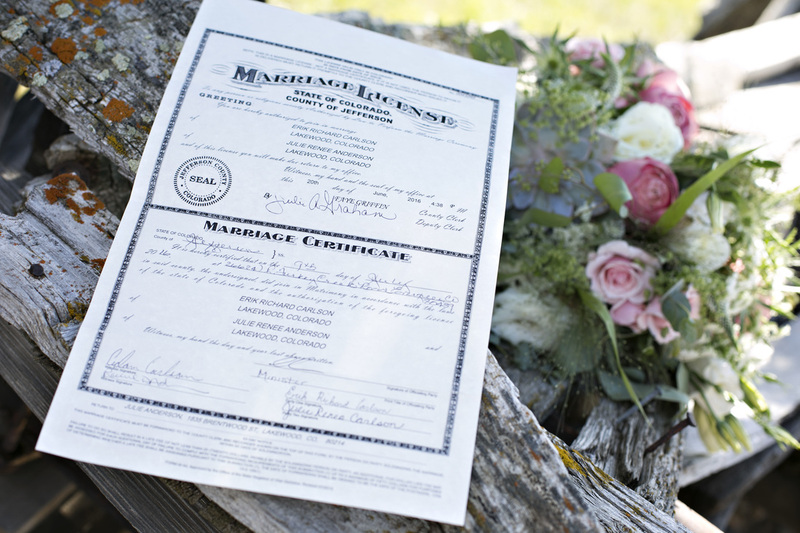 When it is all filled out and complete, we will take the license with us so that you don't have to worry about keeping track of a very important piece of paper while trying to lose yourself in the joy and excitement of your reception. Shortly thereafter we will mail it back to the appropriate County Clerk & Recorder's Office for them to record it and finalize the process of legally marrying the two of you. Once the Marriage License is recorded, the County Clerk & Recorder will mail the license back to the address you provided when you went to get the license. With the Marriage License in hand you can then begin the name change process starting with getting a new social security card and a new driver's license followed by any other institution or organization you are associated with or hold an account. While we don't specifically help in this regard, we can direct you to the right places and help you understand what it takes to make it happen. And with that, you're married and on your way to a long life of happiness!